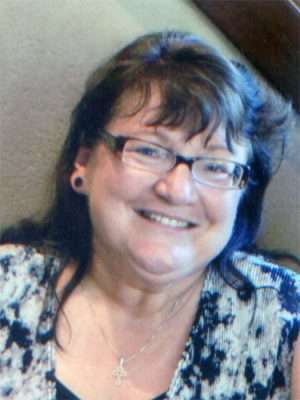 Karen Sue Donovan Best passed away from heart failure in Yuba City, California on Aug. 27, 2018. She was born Nov. 13, 1952 in St. Louis, Missouri to Bob and Shirley Donovan, who both precede her in death. Karen is survived by her brother, Kevin and her sister, Kathy. Karen was married one time to Jeff Best who also precedes her in death. Karen is survived by her two children, Darin and Heather; and eight grandchildren, Haley, Michael, Jeffery, Christopher, Darin Jr., Chance, Easton and Sydney Rose. Karen was a homemaker who enjoyed cooking and was a caterer by trade. She also worked for a florist, arranging flowers for a time. Funeral services were held at 1 p.m. Sunday, Sept. 9. at the Lake Almanor Community Church in Hamilton Branch, presided over by Pastor Rick Sylvester. A celebration of Karen’s life followed at Chester Park. Marette Wakeman, much-loved wife, mother, godmother, aunt, sister and friend, passed away on Aug. 28, 2018, at the young age of 62, as a consequence of cancer. She is survived by her husband Richard and her sons, John and Paul, along with her daughter-in-law Korien. She was the daughter of Cletus, who preceded her in death, and Josephine Unterreiner and has the love and heavy hearts of a big family, being a generous and loving sister to David, Paul, Mary, Alan (Lami), Virginia, Ken (Carolyn), Phil (Brenda), Judy (Robin), and Loree (Brian). She was blessed and loved tremendously by nieces and nephews, Angela, Alesha, Alex, Justin, Shaylee, Marrisa, Robert (Godson), Kalin, Christopher (Godson), Sarah, Jessie; and great-nieces and nephews, Raven, Kenzi, Roxie, Yisrael, Jonah, Hudson, Carina, Weston and Paislee. She will forever be remembered for her humility, generosity and love to all her family and friends. Susanville has been Marette’s home for most of her life. 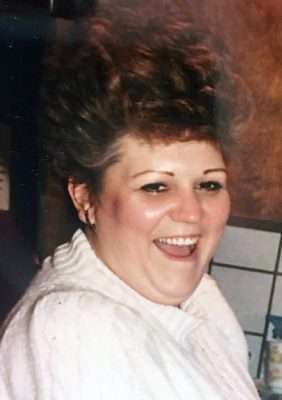 She had a long career as an analyst at the California Correctional Center, owned and operated multiple shops, which she so enjoyed, and was involved in various groups at Sacred Heart Catholic Church. Marette married her loving husband Richard Wakeman on Nov. 26, 1988. They had two beautiful children, John and Paul, in 1990 and 1996. John has since received a bachelor’s degree in computer science and now lives in Chico with his wife, Korien. Paul has enlisted in the Air Force and is currently assigned to Cannon Air Force Base in New Mexico. Both have received endless love and support from Marette throughout their life journeys. Celebration of Life and funeral services took place on Monday, September 3, 2018 at the Sacred Heart Church. Dr. Thomas E. Pyle passed away on Sept. 2, 2018 at the age of 71 years old. He is survived by his wife, Maryann Pyle; daughters, Ann and husband Shawn Lowry, Sally and husband Curtis Perea; grandchildren, Silas and Cadance Perea; brothers, William Pyle and wife, Dorothy, Gerald Pyle, Robert Pyle and wife, Vicki; and numerous nieces and nephews. Dr. Pyle was born on Sept. 19, 1946 in Vallejo, California to Louis and Bernice Pyle. He spent his early childhood in Vacaville, California before moving to Susanville, California in 1962. 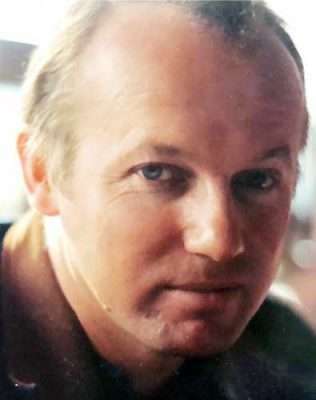 He graduated from Lassen Union High School in 1964, and then went on to pursue higher education, graduating from the University of California, Davis in 1971 with a doctor’s degree in veterinary medicine. Dr. Pyle married Maryann Atkinson on November 6, 1971, where they resided in Grass Valley, California. After moving back to Susanville, California, he opened Lassen Veterinary Hospital in 1974. Dr. Pyle was an active member of the Lassen County community for more than 40 years, serving in the Sheriff’s Posse, Chamber of Commerce, and actively supporting 4-H and FFA students through veterinary services and education. Dr. Pyle also served outside of his community, volunteering his skills in Alaskan Dog Sledding events, as well as serving with Christian Veterinary Mission to provide veterinary care to communities in need. Dr. Pyle loved the outdoors, was an active hunter and fisher, and enjoyed camping and time with family. His dedication to his career and animal health was greatly admired, but his honest and generous character made him beloved by many. He was friendly, funny, loving, a proud father, always hard working, and will be greatly missed. A memorial service is scheduled on Saturday Sept. 29, 2018 at Susanville Assembly of God Church, 473-465 Richmond Road, in Susanville, California at 1 pm. In lieu of flowers, consider donating in his honor to the Lassen County 4-H or to Christian Veterinary Mission cvmusa.org/support/. Susanville native and lifelong resident Ronald Eugene Harrison passed away on Sept. 5, 2018 with his family by his side at Renown Regional Medical center in Reno, Nevada. Ron was born on Sept. 6, 1941 in Susanville, California to Richard and Helen Harrison. He was the second born of four brothers, Richard Harrison (deceased), Robin Harrison (deceased) and George Harrison, of Susanville. Ron went to elementary and high school in Susanville and graduated from Lassen High School as a member of the “Class of 1959” where he lettered in football and baseball. He went on to further his education at Butte and Portland Community College. His future wife, Elvira Garcia, was also a member of his graduating class. Ron joined the United States Army in September of 1959 and was stationed at Travis Air Force Base and later Germany where he worked on missiles. On Sept. 4, 1960 Ron married his high school sweetheart, Elvira Garcia, at the Sacred Heart Catholic Church in Susanville. Ron and Elvira had three children, Ronald Harrison Jr. of Walnut Creek, California; John Harrison of Redding, California and Suzanne Peery of Milford, California. Ron worked as a draftsman from 1963 to 1970 at the Tehama County Assessor’s Office in Red Bluff, California. He also worked as a Reserve Fish & Game Warden while employed at the assessor’s office. On Sept. 1, 1970 Ron began his career with the California Department of Fish and Game as a game warden in Glenn County living in Orland, California. On Feb. 4, 1978, Ron was able to return to his hometown and was assigned as the game warden for Lassen County. He served Lassen County with dedication and pride for 26 years until his retirement on June 6, 2002. After retirement, Ron was employed as a private investigator working for several local attorneys and Lassen County courts for almost 15 years. Ron was an avid hunter and fisherman, keeping all the best known “spots” to hunt and fish in Lassen County for his close friends, kids and grandkids. 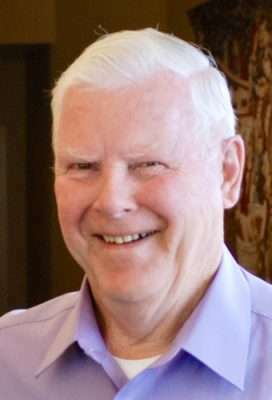 He was a life member of the National Rifle Association; a member of the Elks Lodge serving as a Trustee; a member of the Sierra Sportsman’s Club and served on the Lassen County Grand Jury. He was an instructor for hunter safety and enjoyed teaching the youth of Lassen County about wildlife conservation and gun safety. Ron loved his family very much and was proud of each and every one of his children, grandchildren and great-grandchildren. You would often see him in the stands or sidelines of his grandchildren’s many sporting events. He loved teaching them about the history of Susanville, Lassen County and his love of wildlife and shooting sports. He was known to be one of the most ethical and hard working law enforcement officers around and was very proud of his career. It was jokingly said that he would arrest his own mother if she were breaking the law. In his passing, Ron leaves his loving wife of 58 years, Elvira, of Susanville; son, Ron Harrison Jr. and his wife, Kim and their children Sean, Emma, and Colin; son John Harrison and his wife, Jennifer and their children Rileigh, Ryan, Caleb; and Johnny with his wife, Sindy and their children John and Luke; and daughter Jennifer Harrison and her children Mason, Sydney, and Owen; daughter Suzanne Peery and her husband, Rob and their children Tyler, Brandon, Nick, Joshua; and Michael with his wife, Jasmine and children Lilly, Ollie and Edelweiss; daughter Scarlett with her husband, Joel and children Caden and Chloe; and son, Chris and wife, Chinee. Ron is also survived by his brother, George, of Susanville; and his daughter, Katelyn with her husband, Corrie and their children Aylah and Bristol. He was preceded in death by his parents, Richard and Helen Harrison; and brothers Richard and Robin. Family and friends are invited to attend a Mass of Christian Burial which will be held at Sacred Heart Catholic Church, 120 North Union Street, Susanville, California at 11 a.m. on Saturday, Sept. 15, 2018. Interment to follow at the Diamond Crest Cemetery Veteran’s Section, Diamond Crest Road, Johnstonville, California. An opportunity to gather and express condolences to the family and celebrate the life of Ron Harrison will be held at Monsignor Moran Hall following the interment. Food and beverage will be generously provided by the Sacred Heart Caring and Sharing. The family requests any donations be made in Ron’s memory to the Northern California Cancer Advocates, P.O. Box 270938, Susanville, California 96130 or the American Heart Association.